You have probably heard about or read Blue Ocean Strategy by W. Chan Kim and Renée Mauborgne. It has been translated into 42 languages and sold over 2 million copies – so it fair to say it has made quite a splash. The authors came in a second spot on the Thinkers 50 for 2011. Their ocean metaphor is compelling – most businesses form strategy to compete in the red ocean. There is intense competition and there’s blood in the water. The smart ones migrate to new market spaces – the blue ocean. It is exciting to look at this book through the lens of sustainability. 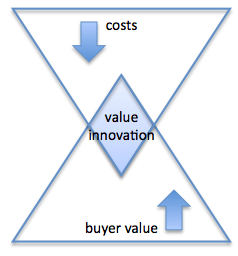 A central concept is value innovation. A part of the process is driving down costs and increasing customer benefits, creating a new market space. The sustainability connection is the social good created. The four billion people who make less than $2.00 a day are excluded from the market place. By driving down costs the poor can participate a little more in the market place and, more importantly, raise standards of living for their families. There are some great examples coming out of the developing world – examples of innovation that we can learn from. Grameen Shakti, one of the family of Grameen companies, provides renewable power technologies to the rural poor in Bangladesh. To enable the poor to purchase biogas digesters or solar panels has required a suite of innovations creating an exemplary example of a blue ocean strategy. The panels are assembled and installed by women given appropriate technical training, also creating employment opportunities. The solar panels provide light at night, and improved fuel-efficient cooking stoves create a healthier home environment. Children are able to study in the evenings and the healthier air eliminates some health issues. 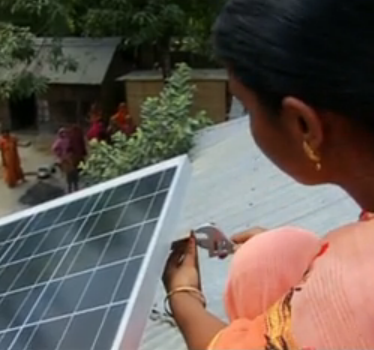 This image of a woman in a sari installing a solar panel on a Bangladeshi roof represents sea-change in the lives of rural Bangladeshi women. Opportunities for technical training and benefits generated by the new technologies transform lives. See more about Grameen Shakti in this YouTube video. A “first world” example is the innovations created by Better Place through their radical business model for electric vehicles (EVs). Shai Aggasi has developed the concept of the “battery swap” enabling EV drivers to call into switching stations and quickly swap a battery. A core innovation is separating the cost of the battery from the cost of the car. He anticipates that economies of scale will reduce the cost of travel down to 2 cents per mile. Shai Aggasi has integrated the value innovation concept into his business model. He recognises that mass adoption of new technologies depends on creating products and services that are cheaper than existing options. Your can learn more about his thinking at this TED talk. This is the crux of the matter. Those introducing innovations into red ocean markets are either increasing buyer value or reducing price. Blue ocean innovators such as Muhammad Yunus and Shai Aggasi are doing both. Unfortunately the companies that are selling EVs through conventional business models are relying on the red ocean strategy of increasing buyer value, but at significantly higher prices compared to comparable vehicle. I realise that they will want to recoup their investments, and that batteries are expensive. On the other hand electric motors and transmissions are simpler than internal combustion equivalents. To reap the sustainability harvest, perhaps we will have to wait for developing world entrepreneurs such as Rajan Tata to deliver a blue ocean EV. 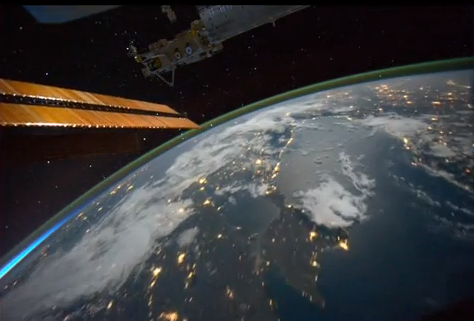 When in orbit, one thinks of the whole of the earth rather than one’s country, as one’s home. At the conclusion of his talk, Ron Garan presented a spectacular video of the return to earth of his spacecraft, Soyez TMA-21 in September this year. Here is a short segment from YouTube. (The music is Peter Gabriel’s Down to Earth). Muhummad Yunus connected back to Ron’s talk beautifully stating how it is an “unfortunate thing that we can’t keep this home as a home for a happy family”. He then spoke about the worm’s eye perspective. When he returned to Bangladesh from study in the United States, his country was experiencing warfare and famine. He found his economic theories hollow and impotent in the face of human tragedy. When he went to the neighbouring village he learned about life from the ground level – the worm’s eye view. Here he is explaining the concept. The bigger you grow – the more distant you get away from the ground level. Muhammad Yunus’s strength is his ability to operate from both perspectives. Following Ron Garan’s space experiences he has dedicated his efforts to improving life back here on earth. 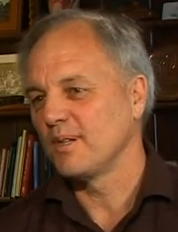 He is a member of Engineers Without Borders, the founder of both the Manna Energy Foundation and Fragile Oasis. Although Ron Garan adopted the posture of a student before the master (Muhammad Yunus), both men epitomise the quality of leadership required for our “fragile oasis”. On reading Harvard Business Review’s September 2011 article, The Higher Ambition Leader, I am struck with the parallels to the concepts championed by Muhammad Yunus and Ron Garan. The article extols the leadership by CEOs of companies such as Standard Chartered, an international bank. The bank’s vision is to be “the world’s best international bank” by “combining global reach with deep local knowledge to become the ‘right partner’ for its customers”. to create long-term economic value, generate wider benefits for society, and build robust social capital within their organizations all at once. These lofty ideals are achieved through creating powerful strategic visions, world class levels of engagement and a constant leadership focus on achieving the strategy. The examples of Ron Garan and Muhammad Yunus, alongside the three companies featured in the HBR article illustrate the importance of engagement. Campbell Soup’s CEO “relentlessly drove progress on two measures: total shareholder returns and the level of employee engagement”. Employee engagement levels at Campbell Soup exceeded Gallup’s benchmark of 10:1 for world-class engagement. By 2010 the company achieved “a ratio of 17 engaged employees for every actively disengaged one”. Is it a coincidence that, for the six years up to 2010 Campbell Soup achieved a cumulative total shareholder return of 64% (S&P packaged food index return is 38% and the S&P 500 return is 13%)? I don’t think so. The leadership described here is becoming the default standard of leadership. We need leaders with both the worm’s eye view and the orbital perspective – those who can focus on the needs of their communities and companies, while also committing to sustaining our fragile oasis and its communities. In earlier blogs in this series we looked at self-interest and enlightened self-interest as sustainability and stakeholder engagement drivers. This post explores altruism as a driver. It seems natural that business leaders who prosper seek ways to give back to the community. The survival imperative driving the earlier days of their careers may have prompted self-interested behaviours. As survival needs are met we move up the needs hierarchy. Maslow talked about self-actualisation – is altruism a manifestation of self-actualisation? Anthony Robbins includes contribution as one of six human needs. Successful business leaders such as Bill Gates, Richard Branson and Warren Buffet have given millions. Bill Gates has set up the Bill and Melinda Gates Foundation, “dedicated to bringing innovations in health, development, and learning to the global community”. As these ventures typically target the disadvantaged, dealing with social issues, they are sustainable in intention. These are the most numerous of the “altruistic” sector. Many are strongly aligned with environmental or social sustainability issues. Most have strong survival instincts and devote significant effort to self-interest. Along with social businesses, these organisations have emerged relatively recently and have a clear sustainability agenda. The Grameen family of businesses established by Nobel Prize winner Muhammad Yunus is a clear example. 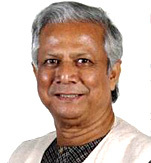 Founded in 1983 the Grameen Bank now has over 8 million members. The mission of the bank is “to eradicate poverty”. The bank spawned several other innovative enterprises that raise the quality of life and well-being for the people of Bangladesh. Muhummad Yunus’s letter to members, on the eve of his forced departure from the bank, beautifully summarises the Grameen story. This video about Grameen Shakti illustrates the multiple benefits generated by a brilliant altruistic business. Grameen Danone was launched in 2006. This social business was inspired by Muhummad Yunus and is a partnership between Gameen and the French company Danone. It stands alongside Danone’s for-profit businesses as a “no loss, no dividend” company. Any profits are returned to grow the business. Social businesses exist to deliver social good. Grameen Danone produces nutrient fortified yoghurt at a very low price to relieve malnutrition in Bangladesh. Muhummad Yunus also drove an environmental agenda, asking Danone to produce a biodegradable, and then edible yoghurt container! Several other social businesses have followed. Here is Muhammad Yunus explaining the social business concept. The recent development of organisations such as the Grameen Bank and Grameen Danone are, I believe, indicative of a shift in human consciousness to a more empathetic business model that looks beyond self-interest and recognises our interdependence. These are the early days – it is exciting to imagine what will emerge as more businesses learn to transcend the drivers of self-interest. Tell us about where you have seen these businesses emerging. 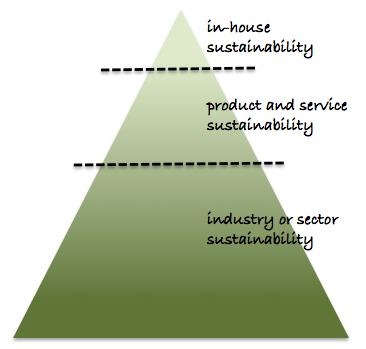 Sustainability depth – are you green from top to bottom? the company’s leadership role in sustainability in its industry or sector. Lets look at examples of some industries to understand the significance of this approach. You probably will have noticed banks that use advertising to announce their use of green cars. Or perhaps they have chosen to occupy green office space. While these initiatives are helpful, they are dwarfed by the impact the banks’ products and services have on the planet and society. The capital that they provide can support sustainable initiatives or more traditional extractive initiatives. The flow of capital has tended to be more determined by risk analysis rather than an analysis of sustainability. The practices and example of the Grameen Bank exemplify creative thinking and dedication to sustainable aspirations (in this case, the eradication of poverty). The achievements of the Grameen Bank leave most Western Banks looking homogenous and deficient in leadership. One notable exception (you may know of others) is Vancouver’s VanCity Bank. This statement from their Accountability report indicates their willingness to show leadership at all three levels. Another evidence of their commitment to sustainability is their relative longevity – Citizens Bank, a subsidiary, was talking about sustainability before the turn of the century. Closer to home (New Zealand) the Australian banks here were at least more conservative and responsible, sheltering us from the worst of the financial crises. In the banking industry, the impact of their in-house sustainability initiatives are miniscule, compared to the greater impact of their products and services and the banking industry’s huge influence on economies. The banks to support are, yes, those who run fleets of green cars, but more importantly are engaged in leadership discourse in their industries. The worst examples of banking were the junk-bond traders that were essentially corrupt and dishonest. Who are the banking leaders who will follow the example of Muhammad Yunus and position the industry to both serve and prosper? As with banking, you can imagine retailers who focus on in-house sustainability, but are locked into the need to grow their business. They may be tempted to sell whatever they can to make a buck with little focus on the environment or wider society. In-house sustainability – For Walmart, electricity is their number two operating expense. They are moving on two fronts.LED lights have been installed in freezer panels, providing a 70% reduction in energy consumption. LED lights will eventually be rolled out throughout stores and carparks. Walmart also have installations of solar panels underway. Over 30 stores are already installed with another 20 to 30 in the pipeline. Another massive opportunity to improve in-house sustainability is with Walmart’s transport fleet. This video refers to a goal to increase transport efficiency by 100% from a 2005 baseline, by 2015. By the end of July 2011, they have achieved 65%. With more than 140 million customer visits each week, we have an opportunity to make a real difference in the nutritional quality of the food we sell, so we have a long-term goal to make food healthier and make healthier food more affordable. remove all remaining industrially produced trans fats in our packaged food. And here is a video about organic lettuce production at Walmart. Leadership role in sustainability – Because of its size, Walmart can be particularly effective as a leader in the retail industry. When they get interested in initiatives such as LED lighting, solar panels and transport efficiency, they indirectly accelerate the mass adoption of better technology by consequence of their size in the market place. Recently Walmart has turned its focus on food-waste, reacting to the news that approximately one-third of food produced globally is wasted and are working with the USDA on projects to reduce waste. They also are working to access produce closer to the point of sale. The examples here are a sample of the great work that Walmart is doing and provide a great illustration of a company engaging with sustainability across the three dimensions identified here. In the positive examples here, including Professor Muhammad Yunus of the Grameen Bank and Walmart, we see clear evidence of a desire to create a better world. This drive in turn generates the cognitive resources of imagination and breadth of vision that create new possibilities and transform industries from the top to the bottom. I would love to hear of more examples.